Out of all the sayings known to man this one frustrates me the most. Now it may seem trivial to be so worked about saying but hear me out. I am not the most positive person in life; I am the half empty cup girl in the corner with her cloud of anxieties over her head. People may call me a pessimist; I see that I am just very realistic with a touch of sass. Any way back to the saying, I despise this saying. I have been told this so many times over the years that you could engrave it on my tomb stone as the person most told this saying. Yep, it is that bad. I believe it all started when I suddenly was not shy about my fails in life; maybe I became comfortable with the fact everyone goes through rough patches. Or maybe I just became tired of pretending my life was unicorns popping rainbows and marshmallows. My problem is: What is so wrong to be sulky and upset sometimes when you get hardships in your life? What if life didn’t throw you lemon but dumped a pile of rotting prawn heads your way? What do you make out of them then? You can not even make compost for your garden. I am firm believer in allowing a period of at least a month before you tell someone this. I do not think people realise when you tell someone this saying, it makes them feel worse about themselves. Not only are you pointing out their problem is bad but you are dismissing their feelings about it. Also you pointing out that they are doing nothing to fix it (which is not true, a lot of people with life issues have tired it fix it). Have you ever thought about it that way? I do acknowledge for some this saying is quite helpful but I think it only works if you are ready to change. This saying often leads me to silently curse the person in my head. There is nothing wrong with being grumpy guts sometimes. It has got to healthier than covering your emotions. Next time you feel or a friend is upset; give them and yourself a bit of break from the lemon lecture; sometimes you just need to be sad. Now on to the my newest ice cream flavour hack inspired by all the summer treats you guys have in the northern hemisphere. In Australia it is winter but that does not stop me from purchasing a brand, spanking new yellow ice cream in order to complete my yellow appliance collection. Over the past week I have been try out all the different flavours I have seen. 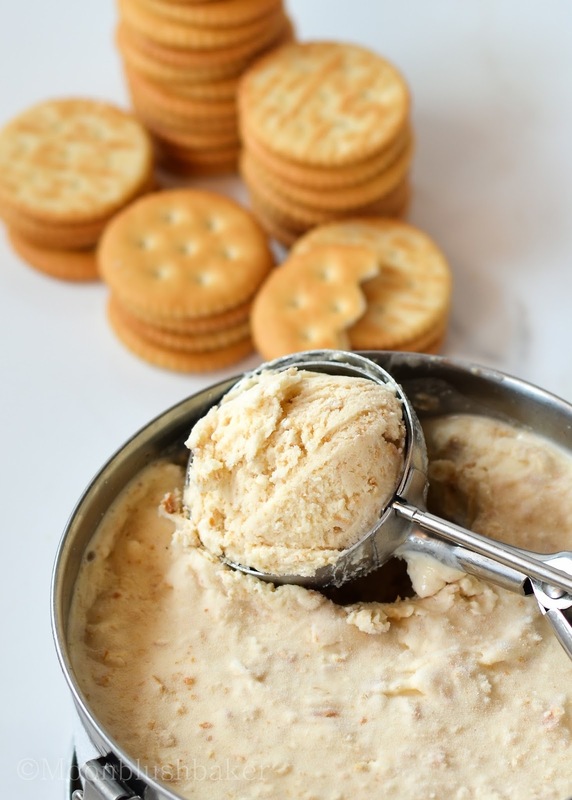 What strikes me as odd is that nobody has wanted to put savoury crackers into the ice cream custard mix. 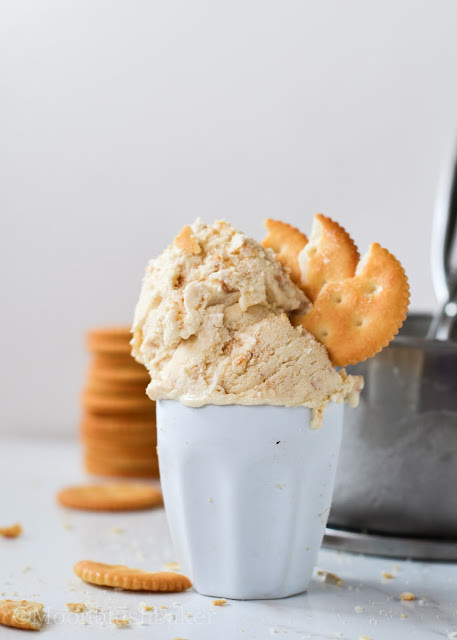 We love it as an ice cream sandwich holder; so why not make an ice cream too!? I am full salt addict even in sweet dishes. You can see by my numerous salted sweet recipes. At the base we have creamy vanilla custard which is spiked with a touch of bourbon. 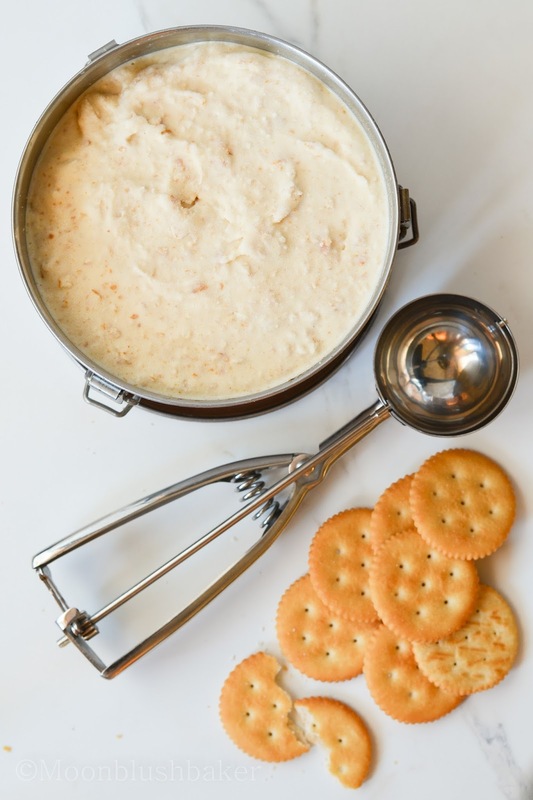 After the mix ins are added which consist of one whole packet of crush Ritz crackers and tiny pieces of toffee. 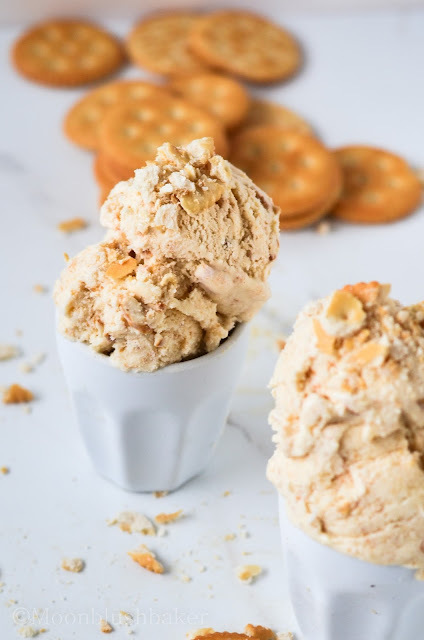 The crunchy salty hit in this ice cream provide a taste experience similar to eating salt with chocolate. You think it is not working then it just hits you in the face. 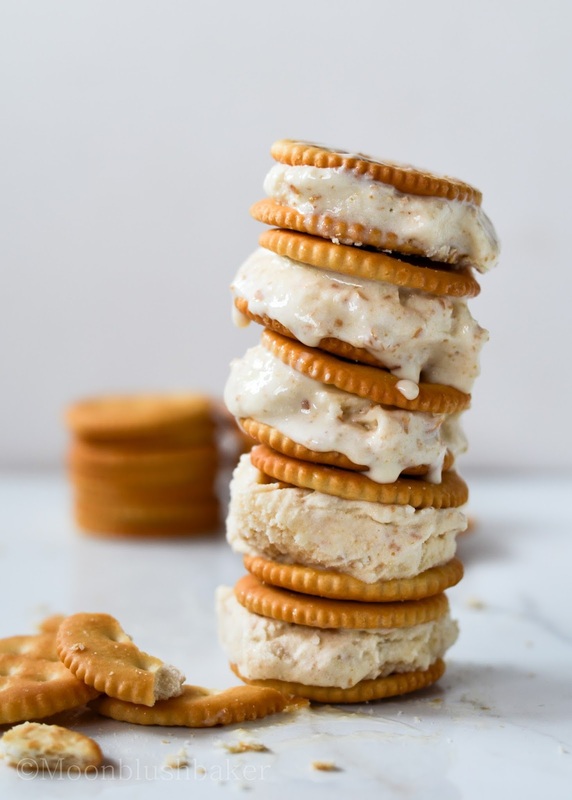 Really makes this a double down Ritz ice cream sandwich or eat it straight from the container; Either way it is delicious. Enough said. In a large saucepan mix the cream, milk, vanilla seeds, bourbon and scraped pod and bring to a simmer over medium heat. Meanwhile, combine the sugar and egg yolks in a bowl and beat with electric beaters until pale and thick. Remove the beaters and gradually pour in the hot cream mixture, stirring until combined. Return the mixture to the saucepan and cook over medium heat, stirring constantly, until thick enough to coat the back of the spoon. Strain the custard through a fine sieve into a bowl set over ice. Make sure you scrape all the vanilla seeds from the bottom of the sieve back into the custard. Leave the mixture to cool on the ice for a while, then chill in the refrigerator for 2 hours. Mix in gently your toffee and ritz cracker mix. 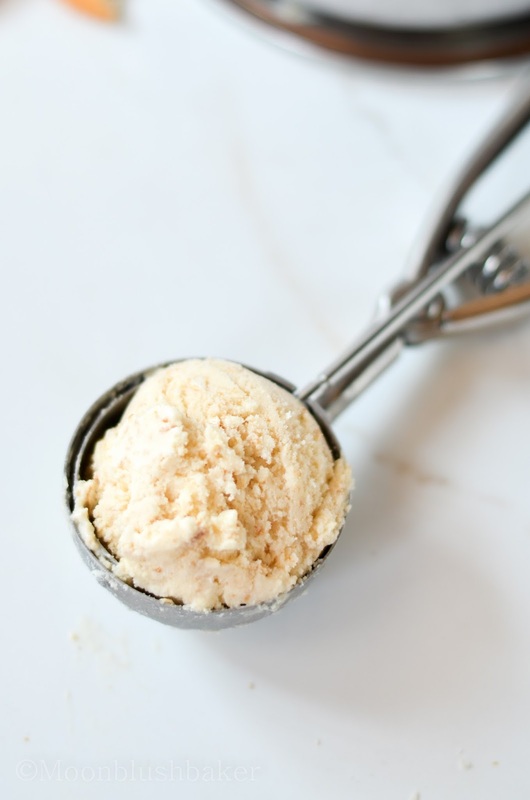 Transfer to an ice-cream maker and churn according to the manufacturer’s instructions. lovely post. sometimes we just need to stay away from those lemon lectures. life is tough enough, we shouldn’t make it even worse by pointing out all the issues! 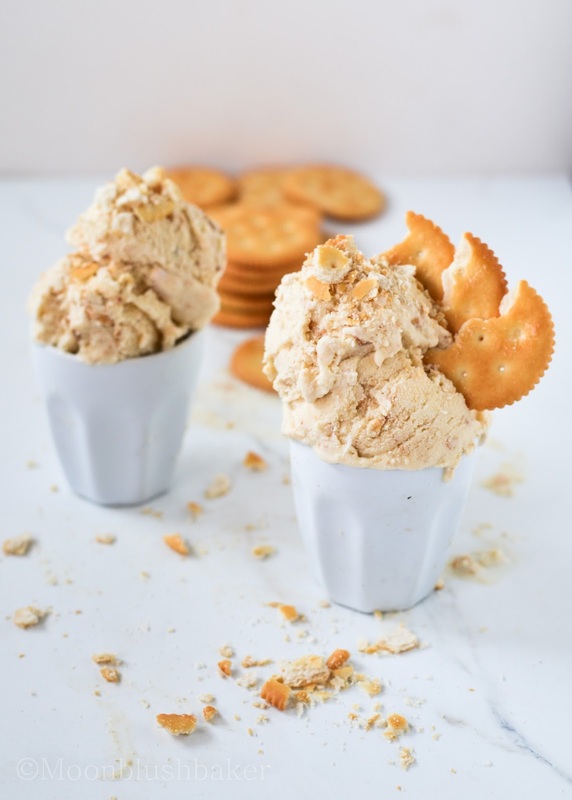 On a light note, I think your idea of adding savory crackers in sweet ice cream is genius! Can’t wait to give this a try. Bravo on making ice cream even in cooler weather. 😛 I make ice cream all year round ever since I’ve got the machine! 😉 Have a great weekend. take care. Saltly and sweet is one of my addictions. I think it all started when I was a child and use to dip fries in ice cream. The ice cream is great! I can not believe I did not get one sooner. 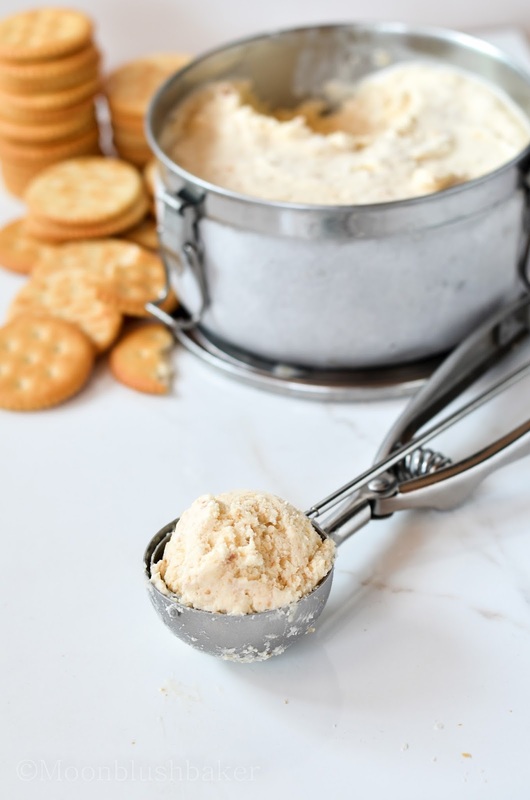 Incredible ice cream, I’m loving the salty-sweet idea – I can almost taste this, and I really want a spoonful! As to the “lemon lectures,” I couldn’t agree with you more :). I get a sour face from lemon lectures but your comment made me smile ^_^. I hope you try this some time laura. Salt in desserts IS A MUST! And this ice cream??? Whoa!!!!!! It’s like a blast of flavours ! I mean seriously! I have to go make this right now! 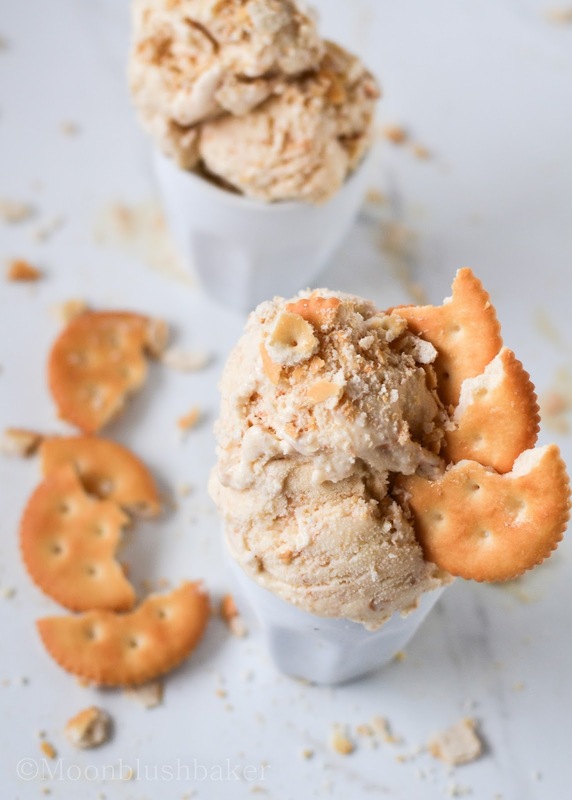 Oh goodness, I love salty ice cream… this is PERFECT! I need this! Thank you Pamela! I am addicted to salt and sweet, so look forward to more treats like this. Optimism is delusionism. I am past pessimistic… I am cynical, which I call realism. We should get together and sulk, hahaa. The only thing I disagree with is: shrimps heads are AWESOME! Lots of delicious stuff can come off it! Yes let get together! Well I only used the example of shrimp heads because once I left a bag of shrimp to go bad in my car…. The smell..>_< but I like deep fried cooked ones! oh I bet this has a great buttery salty taste! great idea. I never though about he buttery texture that ritz crackers have, but yes it is filled with crunchy butter biscuit goodness! This is beyond amazing! Thanks for linking up with What’s Cookin’ Wednesday!! hehe thanks karly. I am so inspired by the foods on your blog that I had to create this! All american fair food, that how desserts should be. Splicing the rant with the ice cream being served… priceless.